It can be really difficult when it comes to choosing gifts for colleagues that you work with, because sometimes you may not be completely sure of their likes and dislikes. If you have been asked to take up a collection for a retiring member of staff or to mark a special birthday or event, then you can’t go wrong with choosing a gift hamper. There is a great range of choices available, and with a little detective work, you will be certain of getting the right one for the individual concerned. The starting point is to consider their likes and dislikes, any hobbies they may have, and also their personal family circumstances. 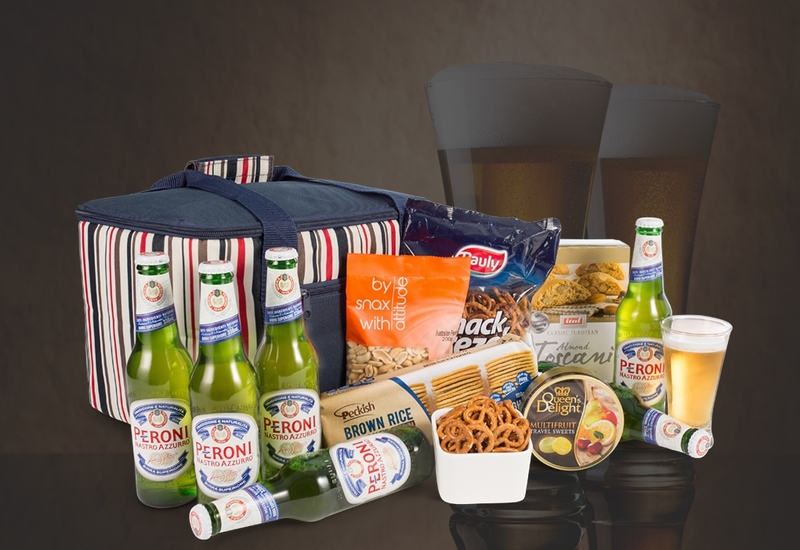 If your colleague comes back after the weekend talking about the various camping trips or outdoor barbeques they had, then consider giving them a hamper that they can enjoy with their family and friends. Make sure that it includes an insulated bag to keep all their drinks cold and to stop any picnic food from spoiling, or you can even get them a gift hamper with a complete picnic set that will enhance any outdoor eating experience. If you have a work colleague who is retiring, celebrating a special birthday or getting married, then consider getting them a deluxe gift hamper. You want to ensure that this will be a gift that they can reuse, so look at the top range of hampers and check out the containers that are used to pack all the food and drink goodies inside. There are some beautifully crafted wicker or leather type baskets and containers that can be used again and again by the recipient of the gift. Making sure that it contains several luxury food and drink items so they can treat themselves is a must, and bottles of champagne or specialist chocolate will also be very much appreciated. If you are the owner of a company and want to share your appreciation for the work carried out throughout the year, then think about getting Christmas gift hampers for staff and colleagues. Even better, in January, treat colleagues to an Australia Day picnic and choose a gift hamper that has the best of Australia in terms of the gifts inside, as well as a themed container. If you have been taxed with getting gifts for business colleagues whom you don’t really know that well, then trying to get the right present can be a minefield. A corporate gift hamper will be very much appreciated by the recipient, and every time they use it, they will associate this quality item with your company. You need to choose the right sort of gift hamper, and finding out whether someone prefers a glass of wine or a shot of whisky will help you decide on the type of drink to include in this gift. For the individual who rushes from pillar to post, juggling home life and a working career, a gift hamper is a boon. Not only does it cut down the recipient’s shopping and cooking, but if the hamper includes a handy bag and container to keep food items in, this can also be left in the car and used whenever they have to stop at the shops. For more top gift ideas for your colleagues in the workplace, start browsing our range of gift hampers today.